As a result of world events over the past few years, Islam has entered our consciousness in an unprecedented way. The Qur’an, guiding text for over one billion Muslims, is being looked to for answers to questions like: does the Qur’an promote peace and harmony or discord and conflict, does it contribute to pluralism or exclusivism, is its message spiritual or fanatical? 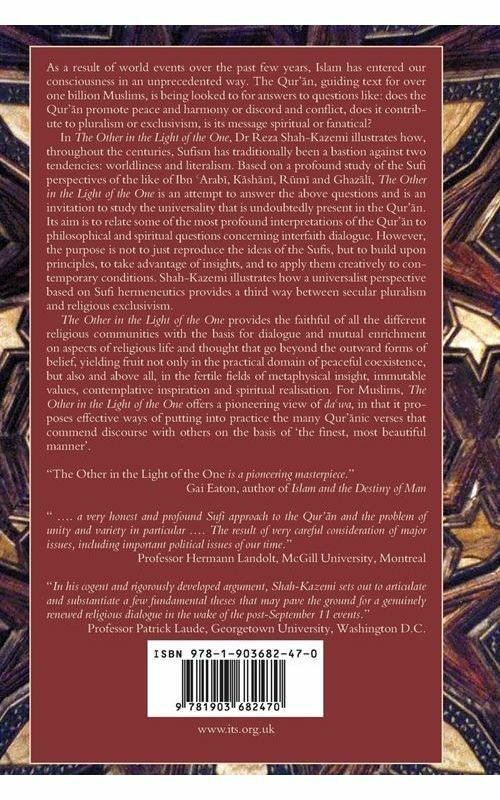 Based on a profound study of the Sufi perspectives of the likes of Ibn ‘Arabi, Rumi and Ghazali, The Other in the Light of the One is an attempt to answer the above questions and is an invitation to study the universality that is present in the Qur’an. Its aim is to relate some of the most profound interpretations of the Qur’an to philosophical and spiritual questions concerning interfaith dialogue. 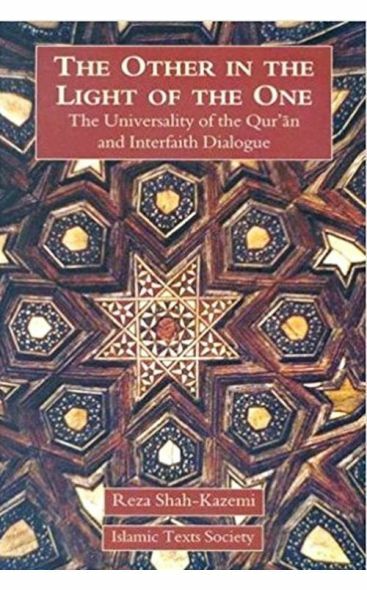 Dr. Reza Shah-Kazemi writes on a range of topics from metaphysics and doctrine to contemplation and prayer. He is presently a Research Associate at the Institute of Ismaili Studies in London, where, amongst other projects, he has been working on a new, annotated translation of Nahj al-Balagha, the discourses of Imam Ali ibn Abi Talib (RA). He is also the founding editor of the Islamic World Report. His degrees include International Relations and Politics at Sussex and Exeter Universities, and a PhD in Comparative Religion from the University of Kent in 1994. He later acted as a consultant to the Institute for Policy Research in Kuala Lampur, Malaysia.